Allergan India – the makers of BOTOX, Botulinum Toxin that has revolutionised the face of the facial aesthetic market the world over, literally and figuratively! Cut to early 2006, Bangalore (as it was called then), a cramped meeting room in a hotel somewhere in the city centre. Attending the meeting were all who were to be responsible for the re-launch and the success of BOTOX in India! Add to that motley group, two representatives from Collateral! The task on hand – understand the current, rather depressing state of affairs, re-think of a new strategy, new plan, big ticket items, mark a calendar and plan the actual roll-out! No mean task this. Team Collateral, having worked with Johnson & Johnson brands that were somewhat related with facial aesthetics, was confident of handling this all new revolution to make ladies look beautiful! Two things that had a telling effect happened in the first 20 minutes of the meeting! One, we realised this was not just another ‘add this to that’ kind of a product and needed a deeper study indeed. The second one, in our minds, has the power to make the product reign supreme all through its lifetime! More about that in a bit. BOTOX, the product that has been touted as the next big thing in facial aesthetics has had its share of ups and downs and continues to do so even now. Product such as BOTOX have an inherent disadvantage, people who use it do not want to talk about it openly. It’s a more of a behind the scenes, a hush-hush product. People such as celebrities and people in the public eye and for whom looking good is important, tend to use BOTOX and other facial aesthetic procedures. Needless to say their good looks need to be perceived as natural and hence the denial. BOTOX was been well received internationally and has become an everyday product, concepts such as BOTOX parties are common place. Ladies get together and BOTOX is administered over a cup of coffee. In India though it’s a different story! Let’s look at who is BOTOX targeted at. Now this is very interesting indeed! Let’s try an understand a lady about 35 years, living in Mumbai, married, working or housewife, high disposable income, a kid or two, who have grown up and don’t demand too much of her time. One fine day she looks in the mirror and sees those fine lines appearing on her forehead or the first signs of crow’s feet (line behind the eye). She instantly starts living in denial. But the thought is niggling and is ever present at the back of her mind. She begins to get self doubts, is not beautiful anymore? Does my husband not find me attractive anymore? Is she growing OLD? No! No! These are just fine lines and a bit of treatment will make them disappear. May be she is stressing herself too much. She has reached a point of point of inflection, she needs someone trusted, someone or something that will give her a ‘promise’, a promise of continuation, a promise to ‘keep looking beautiful’. 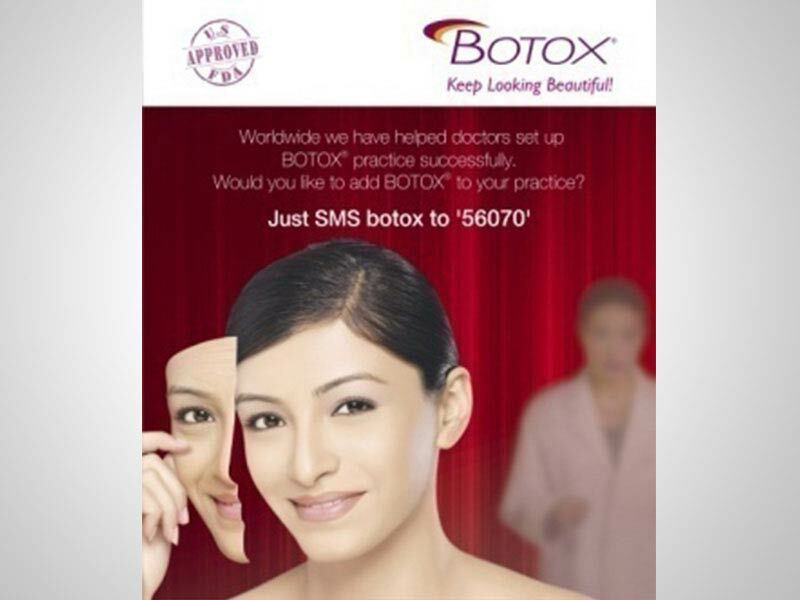 “BOTOX is BOTOX, others are not”! That was like saying all other brands could only aspire to be BOTOX but there will be only 1 original! 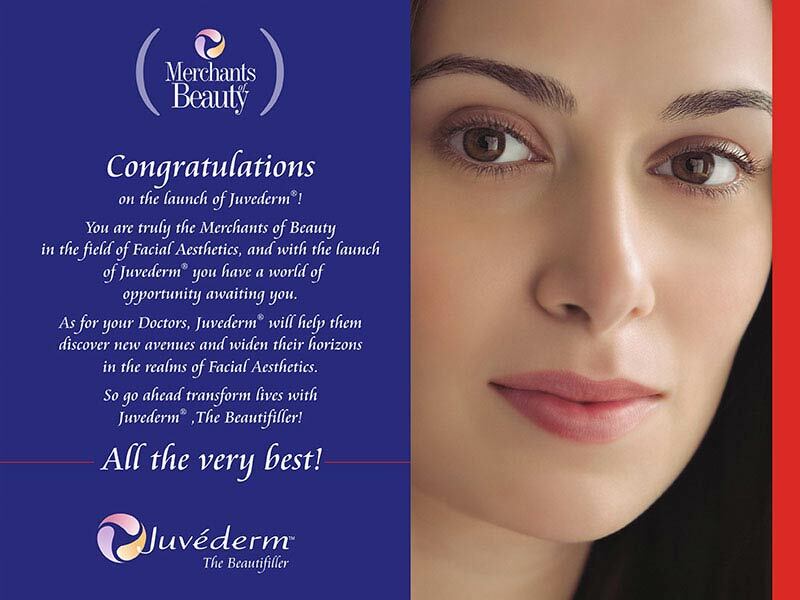 The print advertising experience came handy to roll-out entire plan that included ATL, BTL, Film, In-clinic activations, sales schemes, annual conferences, international trips… all towards increasing the BOTOX footprint in India.